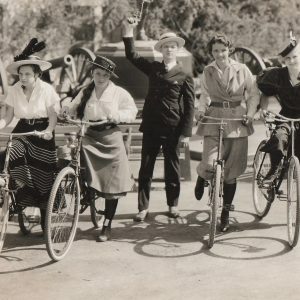 “Bicycling girls” ride bikes, Lee Tracy starts pistol. 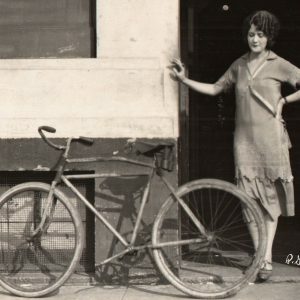 Helen Freeman stands by a bike. Mae Clark cries over her bike, Otto Kruger and Lee Tracy discuss.